Brush peaches with a light coating of oil. Place pit side down onto the grill. Grill for 5 minutes, or until the surfaces have nice grill marks. 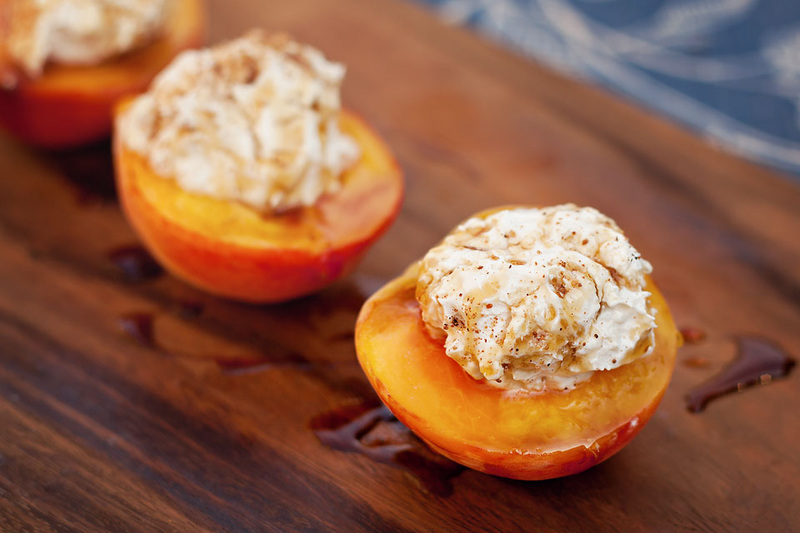 Turn the peaches over, and drizzle with a bit of honey. Place a dollop of the cream cheese spread in the place where the pit was. Grill for 2 to 3 more minutes, or until the filling is warm. Serve immediately. No comments for: "Grilled Peaches and Cream Recipe"